Samuel Insull was born in London, England in 1859, the son of a Congregationalist who held a minor post at Oxford. At the young age of 14, young Sam became a secretary and bookkeeper at an auction firm. In 1879, he became a secretary for George A. Gouraud, one of Thomas Edison's agents in England. Edison was one of young Insull's idols and he strived to ingratiate himself with Edison's staff. He came to America in 1881 at age 22 to be Edison's personal secretary. Insull had a gift for synthesizing concepts and quantities of data into workable business operations, which Edison recognized. By 1889 Insull became vice-president of Edison General Electric Company in Schenectady, N.Y. Insull's reputation as a business dynamo was so well known that when financier J.P. Morgan took over Edison's power companies in 1892, Insull was sent west to Chicago to became president of the struggling Chicago Edison Company. Under Insull's direction, Chicago Edison bought out all of its competitors for a modest amount after the Panic of 1893. He then constructed a large central power plant along the Chicago River at Harrison Street. The modest steam-powered, electricity-generating operation would serve as Insull's springboard to a vast industrial power base. By 1907, all of Chicago's electricity was being generated by Insull's Commonwealth Edison Company, a tribute to his economic management. He also pioneered in unifying rural electrification and in supplying gas. Insull was a cunning and intelligent businessman and was well aware of the rampant political corruption used by men like Charles Tyson Yerkes and the "Grey Wolves" of the city council. It was common in the late 19th and early 20th centuries for politicians and others to engage in dummy franchise shakedown schemes. It would usually work like so: a syndicate would charter a new company to directly compete with an existing street railway or utility company. A competition between the two - to obtain franchises, to get property owner consent signatures - would then ensue. Ultimately, the dummy company would extract some sort of bribe from the existing company, or simply force the company to buy them out, to prevent the chance of competition. A clique of Roger P. Sullivan (later a democratic chairman), George Brennan, and former mayor John P. Hopkins set their sights on Samuel Insull's Chicago Edison Company. Sullivan first approached Insull to see how much he would pay outright to prevent them from forming a competing company. When Insull refused the invitation for a payoff, they formed the Commonwealth Electric Company. Insull, instead of dealing with the syndicate directly, had simply bought the exclusive rights to all electrical generating equipment from every U.S. manufacturer. When the conspirators discovered that they could not buy dynamos without going to Insull, they sold their company to him for a paltry $50,000. Interestingly, the incident earned Insull the respect of Sullivan and the two became close friends. Whereas Yerkes tended to use bribes to get politicians to help him, Insull instead preferred to cultivate relationships with them and make them his allies. Besides Democratic chairman Sullivan, Insull also had a close relationship with Chicago Mayor William Hale Thompson. Though Insull was usually successful in using his considerable influence as a captain of industry to get what he wanted, he was less successful in ingratiating himself into Chicago high society. It was around this time that Insull became associated with Chicago transit. The Lake Street Elevated had long had financial troubles, which only got worse after Charles Tyson Yerkes relinquished control at the turn of the century. In 1901, the investment firm of Blair & Company took over and Clarence Knight replaced Charles E. Yerkes as president. Shortly after, the Lake Street Elevated purchased a tract of land between 46th (Kenton) and 47th (Kilpatrick) Avenues on the west side to build a storage yard and powerhouse, but realizing his company could afford to construct neither, Knight decided to reduce power costs by purchasing power for the elevated from an outside source. Knight chose the Chicago Edison Company, an agreement which proved a major accomplishment for Insull, who'd been trying for some time to convince the elevateds to buy power from Edison's efficient central stations instead of generating it themselves. Efforts to unify the "L" system actually started soon after the South Side Rapid Transit began operation in 1892, before there were any other operating elevateds to unify with! But as the years went on and crosstown trips increased in time and fare, the push for some sort of consolidation or cooperation increased. Several attempts were made in the early years of the 20th century, none successful. In 1909, another attempt was made, this time by Insull and financiers Ira M. Cobe and Emil K. Boiset. Insull's involvement in electric traction is actually quite logical, as the elevated (along with the street railways and later the interurbans) was among his largest customers. They proposed to incorporate the Central Terminal Company which would own the "L" structure and rolling stock, then lease it back to the individual companies. Negotiations collapsed when the parties could not come to terms on the financial details. Meanwhile, Knight's economy measures did not save the Lake Street Elevated and the Blair syndicate decided to reorganize the company in hopes of turning around its economic fortunes. In April 1904, the company's name had changed to the Chicago & Oak Park Elevated Railroad Company and that month the rest of the reorganization was complete. Unfortunately, the new company was no more adept at staying solvent than the old one and the C&OP entered receivership on November 13, 1911. 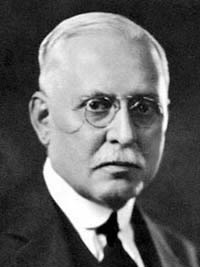 Samuel Insull, now a powerful Chicago utilities magnate, was named as the company's receiver. This put Insull in an interesting position: he was not only in control of the elevated company, but was chairman of its largest creditor, the Commonwealth Edison Company. In May 1910, another attempt was made at consolidation. Henry Blair and a group of investors proposed a syndicate headed by the First National Bank of New York that would buy up all the "L" companies' outstanding shares, then issue new securities in the name of the consolidated organization. Blair was a director of Insull's Commonwealth Edison Company and it was not far off before the utilities magnate would enter the deal. Blair secured the blessings of all four operating "L" companies, but financing was not forthcoming. The National City Bank of New York, whom Blair was courting, was unwilling to underwrite the merger without a guaranty against loses it might incur. After a year of delays, it was announced that the financial obstacle had been overcome, thanks to one Mr. Samuel Insull. Insull, while still not an official member of Blair's committee, exerted considerable behind-the-scenes influence to help move the deal forward. Commonwealth Edison pledged $6 million to the underwriting syndicate. On May 22, 1911, the Blair syndicate offered to purchase all outstanding shares of the South Side, Metropolitan, and Northwestern Elevateds, but not the C&OP, which was in receivership. (The C&OP, however, was part of the deal by default since Insull was its receiver and the Blair-controlled Northwestern owned 52% of the C&OP's holding company.) By the end of June 1911, the Blair syndicate had accumulated enough shares to put the consolidation plan into effect July 1. Instead of creating a new company, it was instead opted to keep the individual companies in place and create a voluntary holding company called the Chicago Elevated Railways Collateral Trust (CER). The CER gave all the benefits of centralized control but without disturbing the underlying companies' outstanding stock and bond issues. Insull was elected the CER's chairman in August 1911 and Insull named Metropolitan Elevated president Britton I. Budd president, beginning a long-standing association between the two men. The South Side and Northwestern companies were then reorganized, with Insull and Budd named chairman and president of each, respectively. No sooner than the consolidation had been completed than the outcry for the lack of through-routings and free transfers geared up again. On May 5, 1913, the CER's executive committee sent the city of Chicago a letter indicating that they were not opposed to instituting these things.... as soon as the city granted permission to extend the Loop elevated's platforms. Insull and Budd then presented a through-routing plan to the City Council's Local Transportation Committee. On July 21, a through-routing ordinance which also allowed the platform lengthenings was passed. Crosstown service began November 1st. About this time, the remaining elevateds all began to shut down their own powerhouses and purchase power from Insull's Commonwealth Edison: the Northwestern and Metropolitan did so in 1914 and the South Side presumably did so about the same time. One year after taking control of the CER, Insull created his Middle West Utilities Corporation, a holding company that eventually acquired hundreds of utilities and traction companies. The two types of companies were a perfect pair: the electric traction companies represented captive customers to the utilities companies and would in turn generate further development along their routes which would in turn create more customers for the utilities companies! In 1916, Samuel Insull acquired control of the bankrupt Chicago & Milwaukee Electric Railroad. Despite its name, the interurban actually only reached one of its namesake destinations: although the line had been extended to Milwaukee in 1908, trains ended their southbound runs at Church Street, Evanston. At Central Avenue or Church Street, passengers had to switch to "L" trains to reach Chicago. But with Sam Insull now in control of both companies, that was soon to change. In 1922, Sam Insull made an address before the city council's local transportation committee announcing his willingness to consider any reasonable proposal from the city to take over the elevated lines. He received no offers. Although forming the CER had helped the elevated better coordinate their activities and had created a number of economies, the company was nevertheless still only breaking even, due in part to fares being kept below cost by the city and the Illinois Commerce Commission. Since the city seemed unready to take over the city's transportation, Insull and his associates decided it was time to formally merge all of the "L" companies into a single corporate entity. This new organization, the Chicago Rapid Transit Company (CRT), scaled back the companies' capitalization by approximately $40 million. On April 23, 1923, the Insull-controlled boards of the South Side, Metropolitan, and Northwestern Elevateds approved a consolidation plan, followed by ICC approval on June 14th. Stockholder concurrence came on January 8, 1924 and operations under the CRT banner began the next day. The bankrupt Chicago & Oak Park became part of the CRT when it was bought for $2.4 million at a court-ordered auction. As was expected, the CRT's officers were Samuel Insull, chairman, and Britton Budd, president. The majority stockholder was Commonwealth Edison, whose shares were in turn owned by the Commonwealth Subsidiary Corporation. Although it had little, if any impact on the "L", it is important to note that at the same time, Insull added another Chicago interurban to his transit empire. Despite the dismal performance by the Chicago Lake Shore and South Bend Railway, Insull recognized the potential in the interurban, which ran from Chicago's South Side through Hammond, Gary, Michigan City, and South Bend, which little little or no competition. The line provided service to some of the largest cities in Indiana and between 1907 and 1925, the population of northwest Indiana more than doubled. In 1925, Insull (through his utilities companies) purchased the ailing Lake Shore Line and renamed it the Chicago South Shore & South Bend Railroad. The new management immediately set out on a massive modernization program that would place the South Shore "above the competition". Within two months, up to 500 men were at work rehabilitating the railroads tracks and track bed and by December 1, 1925, the workforce reached 900 men. By October 1926, the entire line between Kensignton station (115th and Cottage Grove) on Chicago's South Side and South Bend was resurfaced. Work began on lengthen and double-end the sidings along the single-track portions of the line and equip them with high-speed turnouts. New bridges were installed, new stations built, and all the steel structures cleaned and repainted. Under Insull, the South Shore ordered its first new passenger cars in years. Also, he helped the South Shore gain trackage rights into downtown Chicago via the Illinois Central's electric commuter line. The South Shore Line is still in operation today and is the last remaining interurban in the United States. Frankly, the CRT was not that much more adept at making money than the previous companies, but it sure seemed like it on paper. The new company quickly embarked on an extensive expansion and modernization program. But in fact, the company was being propped up in many ways by Insull's large utilities empire. In 1925, Insull's North Shore Line began construction on a bypass route of its Shore Line route. The tracks left the main line at Howard and reconnected south of North Chicago, Illinois, paralleling today's Edens Expressway for much of the journey. The "L" benefited as well, operating local service on the Skokie Valley Route between Howard and Dempster Street, Skokie. The area was sparsely populated, but it was hoped that rapid transit service would raise property values (which it did) and create development, which would (more importantly) create a permanent demand for the electric power generated by Insull's Public Service Company of Northern Illinois. Other improvements made during the 1920s included a new office for Insull's North Shore Line at 223 S. Adams, numerous "L" platform lengthenings, several new terra cotta beaux-arts stations (Wilson, Wells Street Terminal, Halsted/63, Logan Square, to name but a few), new rolling stock (the 4000-series "plushies"), construction of the Skokie Shops, the elevation of the Evanston line from University Place to Central Avenue, and extension of Garfield Park service to Westchester. Everything seemed to be coming up roses for the "L"... Then came October 1929. The Great Depression had a devastating effect on the "L" and eventually brought down Insull's utilities and transportation empire, sometimes referredto as the House of Insull - due to what became an overly leveraged financial position of his main holding company. Due to radically reduced employment, the "L"'s ridership plummeted. The CRT had accumulated an surplus of $3.6 million, which helped it ride out the early years of the Depression with high hopes that the setback would only be temporary. It wasn't. Revenue ridership dropped 13.8 million people from 1929 to 1930. Ridership for 1931 plunged another 30.5 million and the CRT posted its first-ever loss of $1.5 million. Disaster was temporarily diverted by drawing on the surplus, but the CRT was at the mercy of larger economic forced beyond its control. The surplus was quickly depleted and the company was rendered insolvent. On June 6, 1932, Insull resigned as chairman and director of the Chicago Rapid Transit Company, effective the next day. On June 28th, the Westinghouse Electric and Manufacturing Company filed a creditor's suit requesting the appointment of a receiver. The court appointed Britton Budd and Chicago Public Works Commissioner Albert A. Sprague, though Budd would eventually retire. The CRT's collapse probably would have come sooner, had it not been propped up by Insull's utilities empire, which it also proceeded to drag down with it. The story was repeated several times at the onset of the Depression: how the financial overextension of a holding company - in this case, Insull's Middle West Utilities - can bring down its otherwise healthy subsidiaries - in this case, the power companies. Insull's fortunes were in ruins. He was badly overextended and had failed to squirrel away a personal fortune separate from his corporate accounts, so when his companies went bankrupt one by one, so did he. He ended up living out his years on a small pension from his business interests. One of Insull's chief business strategies had been to solicit many small investments from people of modest means. When Middle West Utilities, Insull's chief holding company, entered receivership in 1932, many saw their life saving wiped out and Insull became an intensely disliked individual. The former utilities and transit magnate decided to retire to Europe and ride out the rest of his years in quiet obscurity. But his final years would be anything but quiet. In October 1932, Insull was indicted on charges of bankruptcy, embezzlement, and using the mails to defraud investors. Thus began an eighteen month chase in extradite Insull back to America. Insull had settled in Greece and the Greek courts refused to honor the United States' petitions to have him extradited. But in 1934, Insull's visa was about to run out and it was clear that it would not be renewed. In March, he quietly left Athens aboard a steamer, the S.S. Maiotis, which had been chartered for Insull by an English friend. He tried to reach Romania, but the Romanian authorities would not grant him permission to enter the country and threatened to arrest him if he essayed a landing. Leaving Romania, the Maiotis was halted by Turkish authorities, who locked the former industrialist up in a small Istanbul jail cell for several days and nights. The Turkish courts agreed to extradite Insull back to the United States and he was released to American authorities on April 13, 1934. He was taken home aboard the American Export Line steamship Exilona, which entered New York harbor on May 7th. From there, he was taken by motorcade across New Jersey to Princeton Junction, where he boarded a private Pennsylvania Railroad car bound for Union Station, Chicago. After all that effort, Insull was acquitted on all charges! Some felt he had been made the scapegoat for the whole stock market debacle. He returned to Paris after his trial. According to the New York Times, Mr. and Mrs. Insull had arrived in Paris to see the French Bastille Day festivities. Insull suffered from a heart ailment and his wife had asked him not to take the subway because it was bad for his heart. Nevertheless, he made frequent declarations that he was "now a poor man" and chose to take the Metro nonetheless. Entering the Place de la Concorde station on July 16, 1938, he had a heart attack in front of the ticket agent's window. His knees gave way under him and he fell forward upon his face with a crash, according to the ticket taker. Mrs. Insull, who was staying with him in a Paris hotel, was not located until two hour later and collapsed in shock when she learned of his death. Later revived, she sobbed that she was "all alone now" and later said "I had told him never to take a subway because it was bad for his heart." Insull died penniless according to popular legend but he was, in fact, not without money; it is likely that this rumor started because his wallet was pilfered when he died on the subway platform. In 1934 and 1935, Insull had dictated his memoirs for publication, but they were never formally released. In 1961, his son, Samuel Insull, Jr., released a limited number of notarized copies of the documents, simply titled Memoirs. The last of the Samuel Insulls died on May 17, 1997, with the passing of Samuel Insull III, the grandson of Samuel Insull. Samuel Insull, Jr. passed away in 1983. The youngest Insull, unlike his father and grandfather, did not work in the utilities and transportation empire assembled by the elder Insull. The Insull archives are maintained at Loyola University in Chicago. Wikipedia - Samuel Insull: The Samuel Insull entry in Wikipedia, the online communal encyclopedia that anyone can edit. ArthurGerber.com - Samuel Insull: Dynamic Business Leader: A page about Samuel Insull on a site about architect Arthur U. Gerber, Insull's staff architect for his traction properties. Samuel Insull: Electric Magnate: Samuel Insull page on the Chicago Historical Society's Encyclopedia of Chicago web site. The Franzosenbusch Heritage Society: A group of volunteers living in and around the Westchester, IL area working to preserve and interpret the human and natural history of Proviso Township and a few neighboring areas. The site contains information about the development of communities in the western Chicago suburbs backed by Insull, his traction interests, and his business associates. Samuel Insull and the Electric City: Samuel Insull page on the University of San Diego History Department's web site.